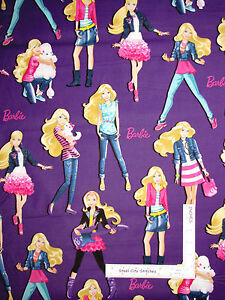 Barbie Fabric - Fashion Doll Poodle Pink Logo on Purple Cranston VIP Cotton 26"
Fast Shipping. Perfect transaction! Would definitely recommend this seller. Thx!